OUR customers for this kitchen are a family from Royton, Oldham. 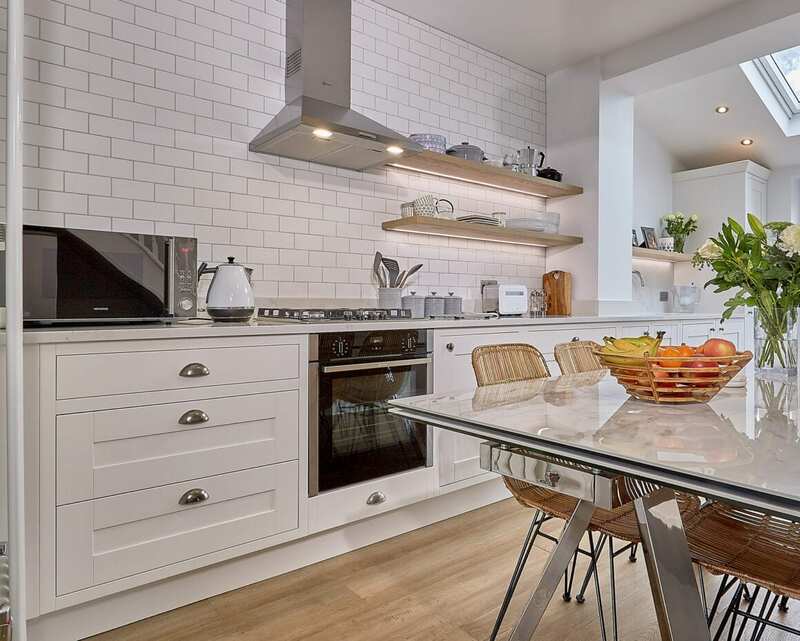 They asked us to design a bright, airy kitchen that would make the most of their existing space. 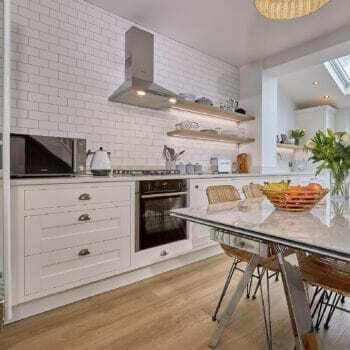 They wanted the kitchen to feel bigger than their old one and combine traditional furniture and finishes with some modern touches. 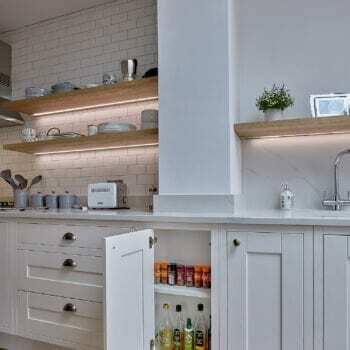 The family have a typically busy home through the week, so their kitchen has to meet their day-to-day practical needs. However, they also want it to provide space for entertaining friends and relaxing. 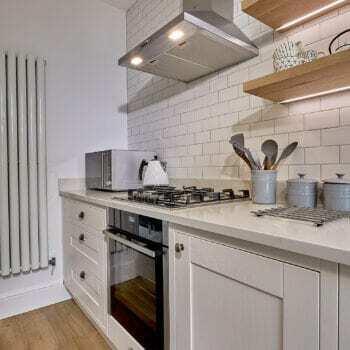 The customers had been searching for a good kitchen design and installation company for some time but unfortunately felt they had been let down previously by another kitchen company. However, when they visited Fineline, they felt confident that we could help with the project and give them exactly what they wanted. 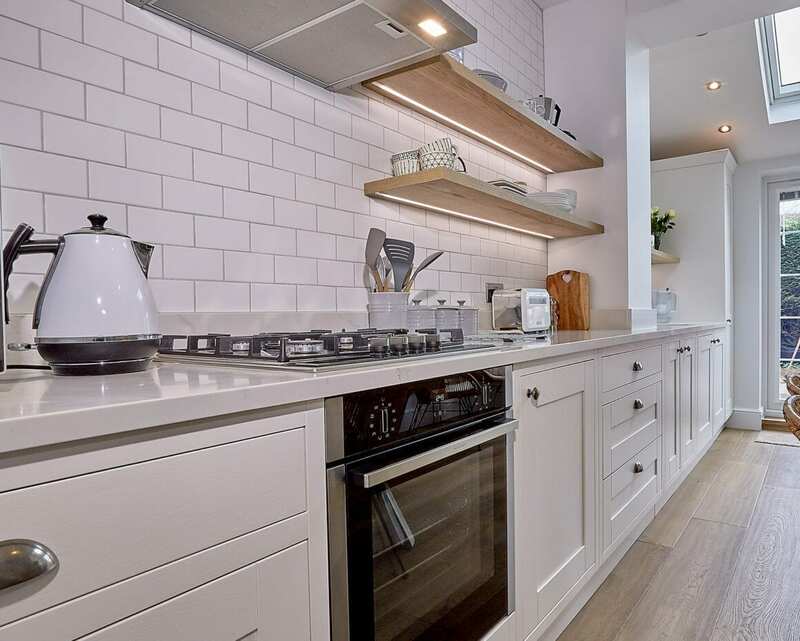 Because the customers had been looking for a kitchen for quite a long time, they already had a good idea about what they wanted regarding furniture colours, styles and décor finishes. So, we helped them to refine their earlier ideas and bring all their requirements together. Similarly, the use of wicker-basket chairs, sofa and lamp shade help create a softer feel. Fitting all went to plan and when complete, the customers were delighted with the finished kitchen. 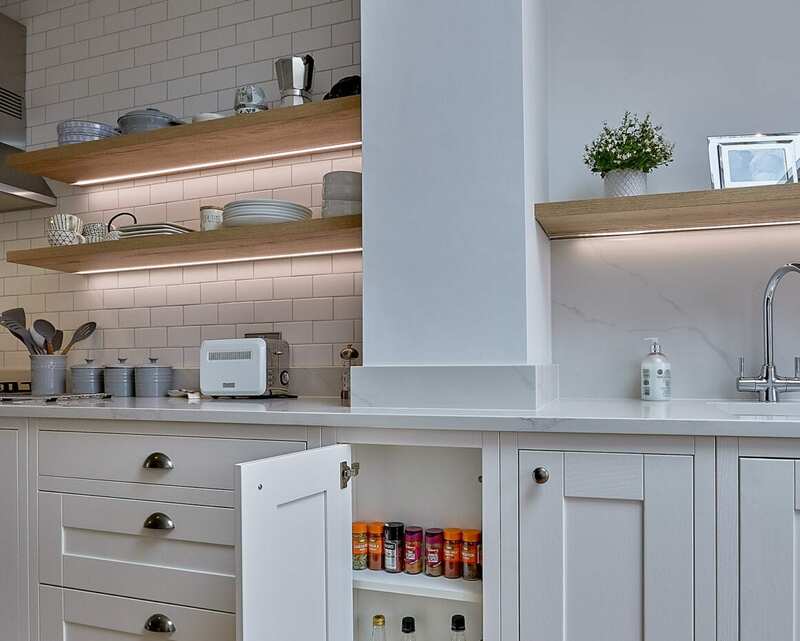 Light really bounces around this elegant kitchen which achieves a lovely balance between harder and softer surfaces, formality and informality. It really enhances the property and the family’s home life. The kitchen furniture comes from our Milton range which has been painted in a chalk finish. 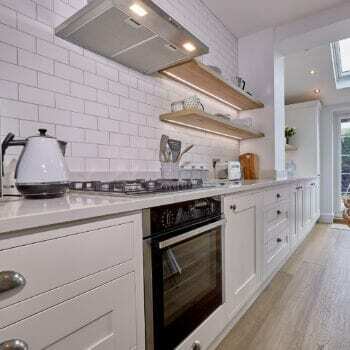 The worktop is quartz from the Calcatta Vision collection. 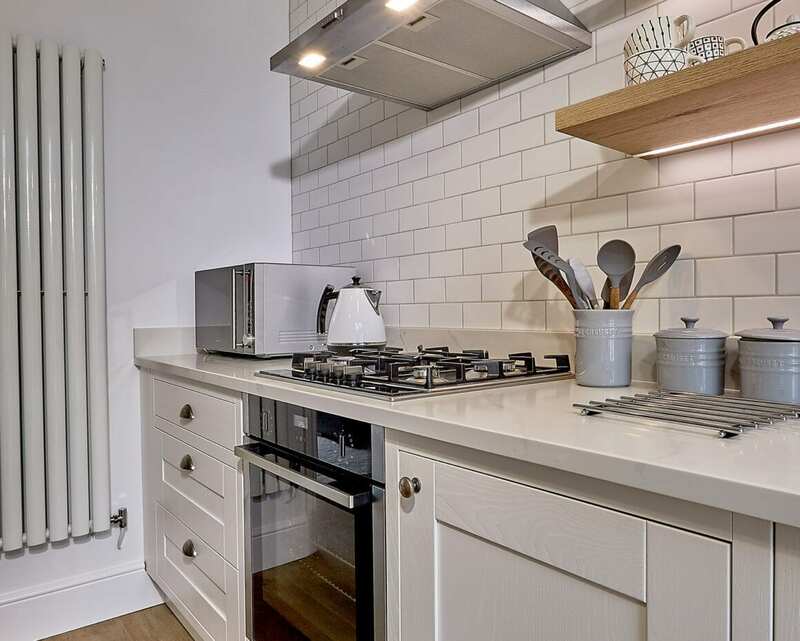 Appliances include a NEFF oven, gas hob, extractor hood and integrated washer. The sink is a Blanco Silgranite 1 ½ bowl in white with a Blanco Arti chrome tap pack.